A proposed ‘Asian Super Grid’ is attempting to pave the way for global access to “affordable, reliable, sustainable and modern energy for all” by 2050. Major energy companies in China, Japan, Russia and South Korea recently signed an agreement to investigate the economic and technical feasibility, but even supporters are concerned about the political feasibility. The Asian Super Grid is the brainchild of Japanese telecom and internet tycoon, Masayoshi Son, who just became Japan’s wealthiest person after his company SoftBank Group announced plans to invest $50 billion in America’s tech sector. Following the devastating Fukushima nuclear meltdown in 2011, Son delved headlong into renewable energy development without any prior experience. His idea starts in Asia with plans to eventually spread across the globe. The ultra-high voltage grid would link electric grids across regions, countries and continents to transmit electricity generated from clean, renewable sources. Areas of the world best able to produce power at any given time would supply it to consumers in other parts of the world. “People said it was crazy, too grand a scheme … politically impossible,” Son said, according to Solar Love. Yet, soon State Grid Corporation of China, Korea Electric Power Company, PSJC Rosseti of Russia signed on to the idea along with utilities, universities and equipment manufacturers from 14 countries to form the Beijing-based nonprofit Global Energy Interconnection Development and Cooperation Organization (GEIDCO) in March. GEIDCO’s declared goal “to link the world’s electric grids to meet global power needs by generating electricity from renewables” would be a huge win for the fight against climate change, and energy access for all would handily fulfill Sustainable Development Goal 7. Not only does GEIDCO President and former Chairman of China’s State Grid Liu Zhenya think it’s feasible, he believes it’s the only feasible solution. The cost of renewable energy is dropping daily. By 2025, it will likely be cheaper than traditional carbon-emitting sources, according to GEIDCO, eliminating the excuse that clean energy is too expensive. However, renewables have been notoriously inconvenient to implement for human use. Renewable sources generate power inconsistently. Excess bursts on a particularly sunny or windy day are wasted without grid-level battery storage – technology that Tesla’s Elon Musk is working to implement affordably and practically. A super grid, on the other hand, would transmit the surplus to locations that need it. The sheer scale of the super grid would also allow it to continue harvesting solar energy across time zones and accommodate wind variability north to south. “The idea of a ‘super grid’ is so appealing because you can invest more highly in areas with the greatest and cheapest renewable energy potential without worrying about how to use it,” Jacquelin Cochran, senior analyst at the National Renewable Energy Laboratory, told Seeker. Son is already working on projects to tap solar and wind power in Mongolia’s Gobi Desert estimated to rival thousands of nuclear reactors. Through two potential routes that Son calls the “Golden Ring” – one from Mongolia to Japan via China and South Korea and the other via Russia – Son hopes to start electricity transmission by the 2020 Tokyo Olympics. Global energy interconnection, GEIDCO believes, can be achieved by 2050. 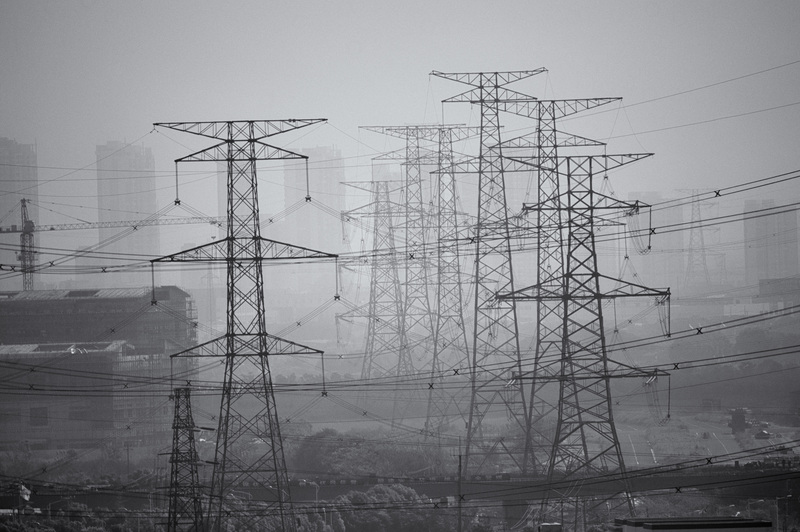 With nine regional interconnected grids already functioning in China and several more in the works, the technical feasibility of transmitting electricity across long distances at high voltages is proven. Connecting across a large body of water would require a submarine cable, but that, too, exists between Norway and the Netherlands. In fact, the cable length there is comparable to the one needed for the Asian Super Grid’s first connection between Japan’s Kyushu and South Korea – about 500 km. GEIDCO estimates that achieving global energy interconnection by 2050 would cost about $50 trillion. How interconnection would work economically, though, would be rooted in free trade. But Valentine noted that an Asian Super Grid may not be as economically appealing to China and Russia, the primary vendors, as it would be to the primary – and isolated – consumers Japan (a chain of islands) and South Korea (which is in no position to share energy with its northern counterpart). China and Russia, on the other hand, could plug into the ASEAN grid or the European/Baltic grid respectively if they so desire. China, too, may prefer to keep its competitive advantage in industrial development with its super-low carbon energy costs. “That’s why China’s invested in coal-fired power plants,” Valentine said, despite growing renewable capacity. While GEIDCO is based in Beijing and led by the former chairman of China’s State Grid, Valentine also noted that national leaders have yet to sign on to the idea. In Valentine’s opinion, the only way to address the national security concern would be to set aside a significant amount of domestic capacity in case something happens to the super grid. “Of course, if you’ve got to add additional energy generation capacity to your electricity grid simply because you’re concerned about national security, it raises the cost of energy provision,” he said. On the other hand, some think the super grid would actually bring political cohesion to Asia. It’s also worth noting that expanding renewable energy shouldn’t take an either-or approach. According to Valentine, there’s good evidence to suggest that battery storage is a complementary solution to a super grid, just as microgrids would also help increase global access to clean energy. Next Article After Mosul, what’s next for refugees and Iraq’s future?